The twelve sides of the six-pointed star are said to represent the twelve tribes of Israel. The star has 12 lines about its perimeter, possibly representing the 12 Tribes of Israel. Some note that the Star of David is a complicated interlocking figure which has not six (hexogram) but rather 12 (dodecogram) sides. One can consider it as composed of two overlapping triangles or as composed of six smaller triangles emerging from a central hexogram. Like the Jewish people, the star has 12 sides, representing the 12 tribes of Israel. Some say that one triangle represents the ruling tribe of Judah and the other the former ruling tribe of Benjamin. It is also seen as a dalet and yud, the two letters assigned to Judah. There are 12 Vav, or “men,” representing the 12 tribes or patriarchs of Israel. According to this picture, the Star of David is the symbol of tribal unity in Israel, a single formation protecting the Sanctuary shared by all”. Over its (bald eagle’s) head there appears a ‘glory’ with 13 mullets (stars) on a blue field. 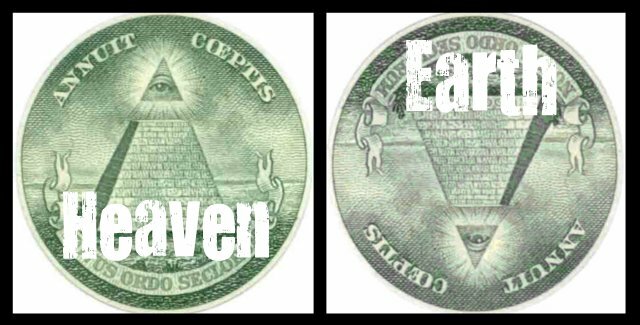 In the current (and several previous) dies of the Great Seal, the 13 stars above the eagle are arranged in rows of 1-4-3-4-1, forming a six-pointed Star [of David]. Above the American bald eagle’s head the stars of the original 13 states are composed to form a Solomon’s seal symbolic of the union of soul and body, spirit and matter. Each of the interlaced equilateral triangles, one upward turned, the other downward…the two represent the physical world as informed by the spiritual. The first die…was cut sometime between June and September, 1782 (i.e. between the design being accepted and its first use), although the exact date is not known. The identity of the engraver is also not known…The blazon does not specify the arrangement of the stars…nor the number of points; the engraver chose Six-Pointed Stars (typical of English heraldry), and arranged them in a larger Six-Pointed Star. No drawing made by the engraver has ever been found…This first die was used until 1841. 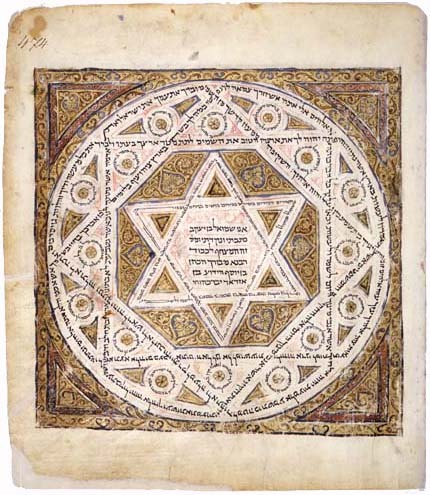 In Arab sources the hexagram, along with other geometrical ornaments, was widely used under the designation “seal of Solomon,” a term which was also taken over by many Jewish groups. This name connects the hexagram with early Christian, possibly Judeo-Christian magic, such as the Greek magical work The Testament of Solomon. Skeptical religious scholars may still quibble about the ‘As Above, so Below’ metaphor’s ultimate origins (Adam/Eve/Cain/Abel) and whether it was ever in use among the ancient Hebrew Patriarchs, long before written history ever began. Nevertheless, the fact remains that no one will ever know for sure although the Bible seems proof enough there was on-going symbolic understanding about the Star of David among the Israelite Prophets who followed in Moses‘ footsteps. Now called The Star of David...the symbol…means, simply ‘as above, so below – the spiritual realm is mirrored by the material’. Westerners say on earth as it is in heaven. Indeed, the existing evidence strongly suggests it may well have been the Judeo/Christian tradition who initially introduced the ‘As Above, so Below’ linguistic theme into many different emerging Christian cultures who then later adopted it as their own. The six-pointed star of David represents the royal Judaic lineage of Mary- the House of David. Star of David: As Above So Below. It is not a Jewish symbol, but an occult symbol. JUDAS MACCABAEUS: The Star of David is either a Jewish symbol or an Occult symbol. It cannot be both, because the Occult has been opposed to Judaism and also the Jewish people, for literally thousands of years. The claim that it is not a Jewish symbol when Jews around the world say that it is appears to a serious denial of reality. The “Star of David” is Pagan. 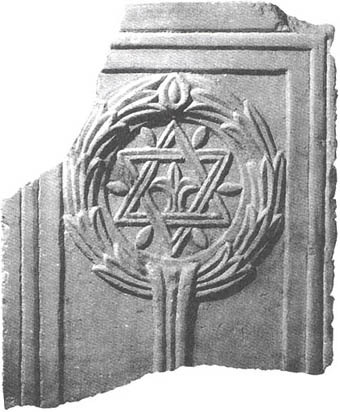 JUDAS MACCABAEUS: The Star of David is either a Pagan or Christian symbol. It cannot be both, because Christianity is not a Pagan religion and to say an age-old Christian symbol like the Star of David is Pagan is to basically say that Christianity is Pagan, a contradiction in terms which makes no sense whatsoever. Star of David OR Star of Lucifer? JUDAS MACCABAEUS: First of all, to even suggest that the Star of David may be the Star of Lucifer is to blindly assume that the Devil, the enemy of King David, Israel, the Jews and Judaism is in fact called ‘Lucifer’. Considering the known fact that Lucifer is simply Morning Star in the Latin language, then it may well be more appropriate to think of Jesus Christ as Lucifer, who is indeed a direct descendant of the Royal House of David symbolized by the Six-Pointed ‘Morning’ Star of David.. REALITY: The Star of David is NOT a symbol of the Occult. It was and is an official symbol of Judaism. REALITY: The Star of David is NOT a Pagan symbol. It is a Christian symbol. REALITY: The Star of David is NOT the Star of Lucifer. It is the family Coat-of-Arms of Rabbi Jesus, a genuine symbol of Jesus Christ the bright, Morning Star. God bless reality and may God bless you all. The magi’s coming to Jerusalem in order to pay homage to the king of the Jews shows that they seek in Israel, in the messianic light of the STAR OF DAVID, the one who will be king of the nations. Their coming means that pagans can discover Jesus and worship him as Son of God and Savior of the world only by turning towards the Jews and receiving from them the messianic promise as contained in the Old Testament. Just about every God-fearing reader of the Bible knows the basic symbolism behind the Star of David which is composed of two opposite-pointing intersecting equilateral triangles perfectly placed on top of each other to create a completely symmetrical six-pointed star. Indeed, even the very name of this geometrical form has a coherent meaning to it, as man throughout the ages has noticed the way the stars and even the sun will sometimes sparkle (or twinkle), thus appearing to have six-points to them, even though they are still obviously round, circular dots in the sky. One need not be a believer in Judaism to understand how this symbol provides one of most simple, yet comprehensible, ikons used to represent such concepts as Heaven and Earth, God and Man, Soul and Body, Material and Spiritual, Mountain and Valley, etc. Throughout the Middle Ages, many a Christian Gentile, especially the more learned among them, understand this symbol as, not only representing a unity of opposites, such as the elements of Earth and Air, or Water and Fire, but also as an expression of complementary concepts, much like the ebony and ivory keys to a piano which, when played correctly and by using the correct combinations, was capable of creating something beautiful- like the Latin Mass at its finest and most profound. 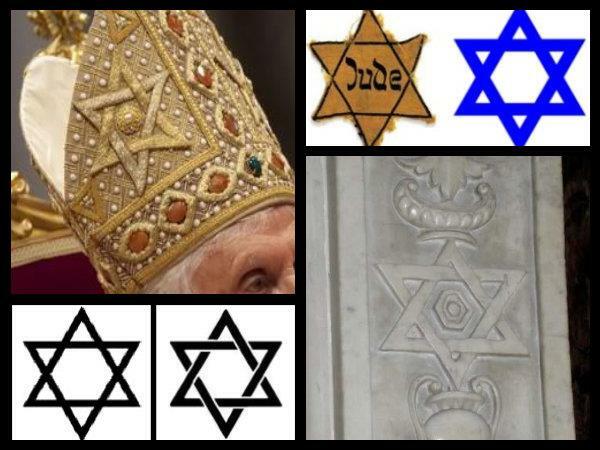 Historically speaking, the Catholic Church wasn’t very prone to call the hexagram the Star of David (or Magen David in Hebrew). 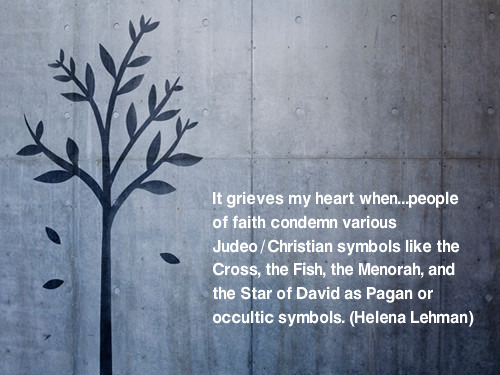 In fact, for several centuries before the modern term ‘Star of David’ ever became part of everyday vocabulary, and long before this symbol ever became specifically Jewish, the Church preferred to refer to the hexagram as the Star of Creation, or the Creator’s Star. Now the obvious question that might come to readers’ minds is why on earth did the Christian authorities ever refer to this symbol in such a manner. The Star of Creation? Whatever does that mean? The six-pointed star is the Creator’s Star or Star of Creation. Its six points stand for the six days of creation. The easy answer is to simply point out that God’s Creation includes both the Heavens and the Earth, Mountains and Valleys, Clouds and Seas, Volcanoes and Tornadoes, so the symbolic representation of BOTH distinctly different items placed together would of course signify the reality that Creation is filled with a diverse array of BOTH phenomenon- not to mention the fact that every snowflake is basically a Star of David, in one form or another. (1) In the beginning God created the Heavens AND the Earth. (2) The earth was formless and void, and darkness was OVER the surface of the deep, and the Spirit of God was moving OVER the surface of the waters. (4) God saw that the light was good, and God SEPARATED the light from the darkness. (5) God called the light day, and the darkness He called night. – The Light, Day= Up (or Down) Triangle –> God called the light day, and the darkness He called night. (7) God made the expanse, and SEPARATED the waters which were BELOW the expanse from the waters which were ABOVE the expanse, and it was so. (9) Then God said, ‘Let the waters BELOW the Heavens be gathered into one place, and let the dry land appear’, and it was so. (10) God called the dry land Earth, and the gathering of the waters He called Seas, and God saw that it was good. (16) God made the two great lights, the greater light to govern the day, and the lesser light to govern the night. (27) God created man in His own image, in the image of God He created him, male and female He created them. 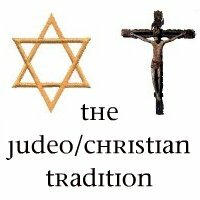 This simple, basic analysis provides one of best ways in explaining the ultimate reason why the Catholic Church, while acknowledging the hexagram as a legitimate family seal for the House of David (including Jesus Chris), has still tended, for literally hundreds of years, to refer to the Star of David as the Star of Creation. Considering the inherent common sense seen in the above interpretation of the Creation story in Genesis 1, it should be fairly easy to understand why. 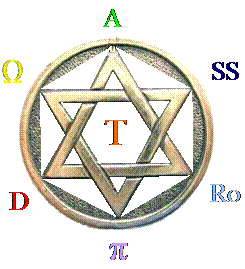 The Star of David seems to nest itself in the beginning of the bible…Therefore it’s the question if Moses was aware of the fact that when he wrote down the bible text, he also wrote down the mathematical laws of the hexagram…for with the creation of Heaven and Earth appear also the Laws of Nature and of course the mathematical Laws too. 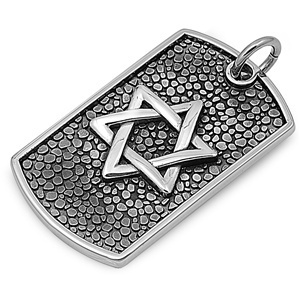 The star of David is an ancient Jewish symbol filled with significance. The two triangles that make up the star of David depict the two…forces in this world…Heaven and Earth, body and soul, and more. The thought of Heaven and Earth sharing one dimension brought a scripture to mind. Jesus taught them to pray “in earth as it is in heaven”. I was instantly impressed with the knowledge that somewhere on the earth there must be an exact duplicate of this pattern. 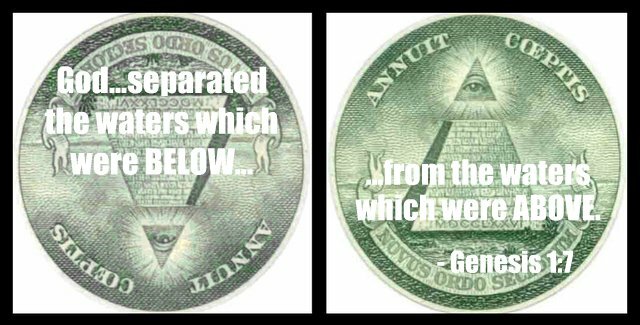 This pattern is not new, some of the names for this fusion [are]…’Seal of Solomon’ and the Star of David’. No matter what the symbol is called, or whether it stands for the union of…God and man, it is the power of a balanced collective consciousness. STAR OF DAVID: The Star of David or the Creator’s Star. The six points represent six aspects of God: love, mercy, wisdom, majesty, power, and justice. In this form, the two triangles represent the Trinity. THE STAR OF CREATION (Star of David) – The six-pointed star is several symbols in one. The star is made up of two triangles, each representing the Trinity. The six-sided star they form is a symbol of creation. Thus the symbol means that the Godhead, Father, Son, and Holy Spirit, were all a part of the creation of the world. Six pointed stars symbolize Israel and is called the Star of David. It represents the six attributes of God – power, wisdom, majesty, love, mercy and justice. Six Pointed Star: Star of Creation, Star of David. Although ancient and symbolizing the six days of creation, best known in modern times as a symbol of Judaism. Six-Pointed Star: Stars with six points have a deep ancient history that has been connected to many other religions with a range of meanings. In regards to Christianity, the star with six points is known as the Creator’s Star (or the Star of Creation). Each of the points represents the six days of creation, and is also representative of six attributes associated with God;- love, mercy, power, wisdom, majesty, and justice. The six-pointed star is also a symbol of Judaism in modern-day Israel, which is called the Star of David. King David would say his Star is SEVEN, and never SIX…Six…six…..
7 = The 6 Sefirot of the Male (Zeir Anpin) united with the Seventh Sefirot of the Female (Nekuva). For the LORD God is a Sun and a Shield. The Lord will give grace and glory. No good thing will He withhold from those who walk uprightly. The Star of David displayed just above has been known for many centuries and it comes from the pages of the Leningrad Codex, a Jewish Bible written by Jewish scribes more than 1,000 years ago, sometime around the very early 11th century (1006-1009 A.D.). The document has been called a Codex because it has not been written in scroll form like a Torah, but is a very old example of a high quality, hand-written book instead. This particular Codex has been kept at the archives in the Russian city of St. Petersburg (Leningrad during the USSR) since 1863. As can be seen just above, this one particular page of the Leningrad Codex provides some fairly irrefutable proof that the Star of David and its significance was already common knowledge among the leading Biblical authorities of Judaism long before the period (1400-1800 A.D.) which most ‘scholars’ believe was the time when Judaism slowly ‘decided’ to adopt the six-pointed Star of David as their own symbol. The significance of the Star of David being included in such an important text of Judaism has yet to be completely understood by most historical authorities. This particular picture (shown below) happens to be what experts call the ‘Carpet Page’. As can be seen, the Star itself has been partially drawn using words and phrase in the Hebrew alphabet. In Medieval Jewish, Islamic and Christian legends, the Seal of Solomon was a magical signet ring said to have…the symbol now called the Star of David (hexagram), often within a circle, usually with the two triangles interlaced (hence chiral) rather than intersecting. Uniting the Water Triangle [facing downwards] with the Fire Triangle [facing upwards], the Hexagram is formed. It forms a six pointed star also known as the Seal of Solomon. This symbol is a [different type of] Star of David, the national symbol of Israel (God’s chosen nation). The difference between the Star of David and the seal [of Solomon] is the triangles which make up the seal [Solomon] interlock and the two triangles of the Star of David lie flat against each other. (Star of David) n. – A symbol consisting of two OVERLAPPED equilateral triangles forming a star with six points, used as a symbol of Judaism. It is also called Magen David, Mogen David, and Shield of David, and is shaped identically to the hexagram and Solomon’s seal. It is used on the flag of the modern state of Israel. (Solomon’s Seal) n. – A mystic symbol consisting of two INTERLACED triangles forming a star with six points, often with one triangle dark and one light, symbolic of the union of soul and body. It is shaped identically to the hexagram and Star of David, distinguished only in its usage. 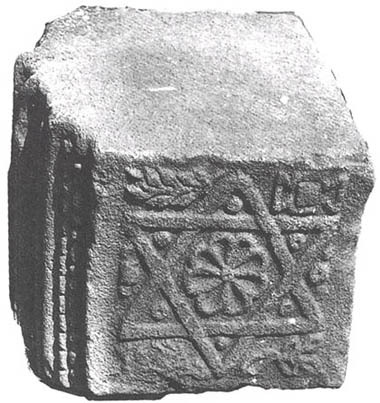 A Jewish Seal of Solomon with interwoven triangles carved upon a building stone recovered from a Jewish Synagogue which dates anywhere from 200 to 400 A.D. Among the various myths and legends concerning this age-old Biblical symbol, two of them stand out in particular. The first one concerns the reasons behind why the hexagram was ever called a star (or shield), while the second story explains the intricate three-dimensional pattern seen on the Seal of Solomon, but usually never with the Star of David. Now as to why the hexagram was ever called a Star, the main reason should be quite obvious to most observers. As nearly everybody would agree, the six-pointed shape itself bear a striking visual resemblance to the twinkling effect one experiences when looking directly at either a star, or the sun, through a somewhat hazy atmosphere. There is also a Biblical reason why the hexagram has been called a star and it concerns a certain, obscure prophecy found in the Book of Numbers. Keeping in mind that this was written long before King David was ever born, the relevant verse talks about an unknown future leader of Israel who will rise to power and go on to defeat the traditional enemies of the Israelites- the Moabites for example. This future hero is metaphorically described as ‘a Star’ which ‘shall come forth from Jacob’, obviously meaning a yet-to-born descendant from the one of the twelve tribes of Israel. Because of the importance of the Davidic Kingdom, quite a few scholars claim this passage from Numbers should be seen as a direct reference to the later military success and subsequent rule of King David. Indeed, David official founding of the Kingdom of Israel in Jerusalem was the first event of extreme significance which had occurred in Israel since the time period recorded in the Book of Numbers. Yet the question remains as to why the hexagram, rather than David himself, is the ‘Star’ mentioned in Scriptures. The best, and probably only correct answer to this is that the original Star of David served as his personalized signature- comprised of two triangular Hebrew letters written on top of each other with one of them turned upside down. In short, the hexagram was simply a uniquely clever way David wrote the first and last initials to his own name. Therefore, the claim that the six-pointed hexagram used for David’s name was also a perfect symbolic representation of the Biblically prophesied ‘Star’ of ‘Jacob’ happens to be fairly logical, at least in a metaphorical sense. 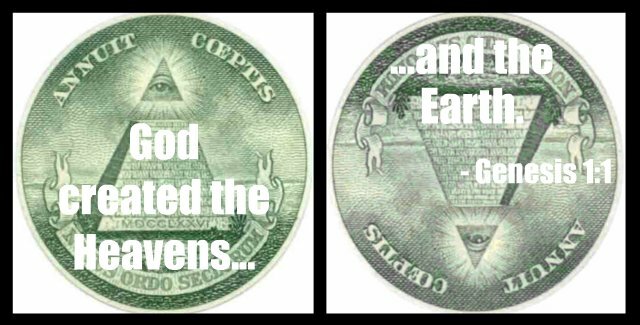 Also, because the Bible just so happens to be filled to the brim with metaphors, this legendary explanation may indeed be the real truth behind the origins of the six-pointed Star. STAR OF DAVID: I see him, but not now; I behold him, but not near. A STAR shall come forth from Jacob. A scepter shall rise from Israel and shall crush the corners of Moab, and destroy all the sons of Sheth. SEAL OF SOLOMON: Place me like a SEAL upon your heart, like a SEAL on your arm. For love is as strong as death, its jealousy unyielding as the grave. It burns like blazing fire, like a mighty flame. A Christian Seal of Solomon with interwoven triangles etched in marble from a Byzantine Christian Church (400-630 A.D.) uncovered at Khirbet Sufa, located in the northern Negev Desert of modern Israel. The hexagram, as the Seal of Solomon, is generally…believed to have protective powers and magical properties…[It] has a long history of providing protection from demons and evil spirits. In some magical practices, it is associated with exorcisms. The Seal of Solomon dates back to the Bronze Ages and is a powerful symbol with many mystical and magickal qualities…the Seal of Solomon is believed to offer protection against both enemies and the evil eye, control spirits, and bring good luck in all aspects of life. In the middle Ages it was common to find amulets and talismans which reproduced the Seal of Solomon…It was believed that these magic drawings protected the wearer from the influence of demons and evil spirits, or just bad luck. It was also common to record the seal on a frame or lintel of the entrance door to homes…with the same protective character against the spirits or to potential fires. AT TOP LEFT: A close-up picture of Pope Benedict XVI’s Papal hat known as a mitre. The six-pointed hexagram located in the front of the head-piece appears to be a Seal of Solomon, rather than a Star of David. AT TOP RIGHT: The yellow star of David on the left side has the German word Jude (Jew in English) written in the center. The blue Star of David (Magen David in Hebrew) on the right side is found upon the official, national flag of Israel. 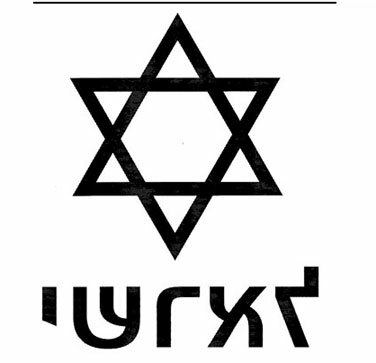 AT BOTTOM LEFT: These two black hexagrams in a all-white background are basic representations of a Star of David, seen on the left side, and a Seal of Solomon, seen on the right. AT BOTTOM RIGHT: A six-pointed hexagram carved upon one of the walls of St. Peter’s Basilica in Vatican City, the official capital of the Roman Catholic Church. In conclusion, the specific place that the hexagram actually holds in terms of the Judeo/Christian ‘big picture’ shows a long and extensive history of Christian use dating back centuries to the Middle Ages. Hopefully, Christian respect and admiration for this particular emblem will extend itself into an open friendliness, rather than hostility, towards those who still practice and believe in Judaism, This seems to be the general attitude of today’s Catholic Church and the specific and deliberate reference to the Star of David in the most recent edition of the Catechism of the Catholic Church (just cited above) is even further proof that times have changed for the better. Aristotle did NOT Invent the Star of David…. 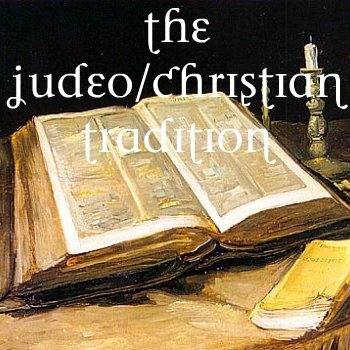 Judeo/Christian Quotables – Origins of the Seven Judeo/Christian Archangels? Revelation 9:11 - When Thou Doth See Apollo Stareth at You, or Me or She, Maketh sure He cannot Follow! 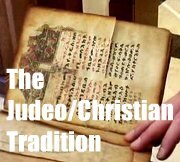 Roman/Ukrainian Catholic Bible Scholar, Writer, and Publisher who specializes in the Maccabees, the Book of the Maccabees I and II, Judaism, the Jewish Talmud, Midrash, and Apocrypha, also including all major aspects of the Judeo/Christian Tradition. Founder and Bible Scholar of the Order of the Maccabee, a Judeo/Christian Research Foundation dedicated to the preservation, protection, promotion, and practice of the Judeo/Christian traditions of the Maccabees, especially as found within the religions of Orthodox Judaism, Roman Catholic, Orthodox Catholic, and Eastern Orthodox Christianity. Sharing Hope through the Charism of Healing.